In the following short article I'm going to describe a few techniques on how to rock a crowd. I have years of personal experience and have watched many other artists performing. Most of these techniques can be applied to almost any live art form such as rapping, djing, poetry, and singing. You must be CONFIDENT. DO NOT STAND STILL. Bend your knees to your own rhythms. Hand motions seem second nature to every beatboxer so just let your hands flow naturally to your beats. Don't be afraid to look the audience in their eyes and maintain eye contact. Don't worry if you look like an idiot - in fact, you shouldn't care what you look like. You must step onto the stage and think to yourself "I AM THE COOLEST PERSON IN THIS ROOM. PEOPLE WILL ENVY MY BEATBOX SKILLS ONCE THEY HEAR IT". Use your clothes to set a vibe before you even start beatboxing. You can come up in your pajamas if you want. The main goal of performance attire is to make you stick out as a performer. You want people to remember what you look like so they can give you props after the show and ask you how you did that. 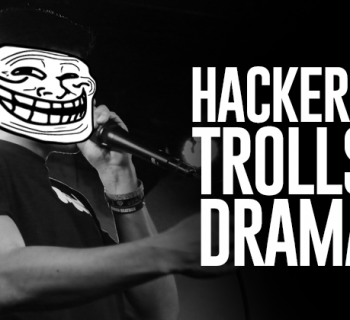 This is dependant on the beatboxer. Put together a set complete with beats you know are guaranteed to impress people. Don't string together a group of mediocore beats with one amazing beat. It's better to be consistent. Being able to freestyle is important, but sadly isn't necessary. It helps to have something to fall on if you forget your set. It makes the performance feel more organic. This is not the same as rapping. 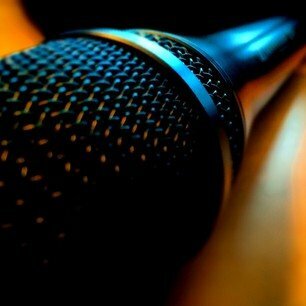 The true definition of the word "emcee" is the person who holds the mic and hosts the party. You want to be able to control the party with your emceeing skills. This is the same as crowd participation. It's not that hard to beatbox "When I say HEY! You Say HO!". You can even fit your beatbox name in there so people remember who you are. Or maybe you can start off your set by telling everybody to "clap your hands everybody...i said its alriiight....clap your hands everybody" so you can get your set started from their soul clap. The possibilities are endless. You should fit at least ONE song, either beatbox+song or just regular beatbox, into your routine. Ever been at a concert where the DJ is spinning records, then he puts on a song you LOVE. You love it so much that you have to start dancing and sing along. Yeah, that's basically the same exact thing. This must be unique to only you. This is the part of your set where people start swearing out loud and trying to figure out how you are doing that with your mouth. Think Rahzel's "If Your Mother Only Knew" or Killa Kela's "I'm a Slave" routines. Add something that will leave your audience confused. 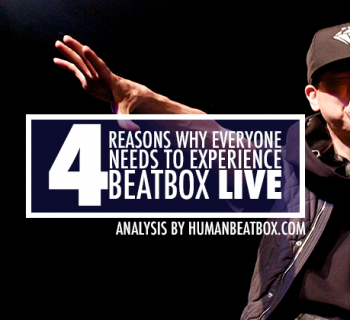 THIS IS THE MOST IMPORTANT FACTOR YOU SHOULD CONSIDER WHEN CREATING A BEATBOX SET. ALWAYS CATER TO YOUR AUDIENCE. If you are at an acoustic open mic, peerhaps melodic beats and singing would be better. Beatboxing for a huge crowd at a hip hop show? Rock them with well known hip hop beats. Know who your audience is. This should be the main motivation for what you should include in your set. Go ahead and sneak some things that you want to perform, but for the most part make it all for them. You are there to entertain THEM, not you.